UFC champ Jon Jones fired back at Israel Adesanya on Twitter. Things are getting heated between Jon Jones and Israel Adesanya. Adesanya said earlier this week he has “already killed one GOAT” and that he is “hunting the next,” referring to his February win over Anderson Silva and a potential bout against Jones, respectively. Jones, the UFC light heavyweight champion, fired back at Adesanya, a rising middleweight contender, in a tweet Friday. “Bones” said he would make Adesanya call him “daddy” if they ever shared the Octagon down the road. “If you think you killed 44 yr old Anderson, you didn’t,” Jones wrote. “I’m not really sure what fight you’ve been watching. Jones has been at the top of the 205-pound division for years, while Adesanya has only begun to make waves in the UFC in the past year. Adesanya has recorded five straight wins in the Octagon, including a decision over Silva in the UFC 234 main event and a TKO of Derek Brunson last November at UFC 230. Adesanya is set to meet Kelvin Gastelum for the interim middleweight title in the co-main event of UFC 236 on Saturday in Atlanta. The winner of the bout is expected to challenge Robert Whittaker for the inaugural title later this year. 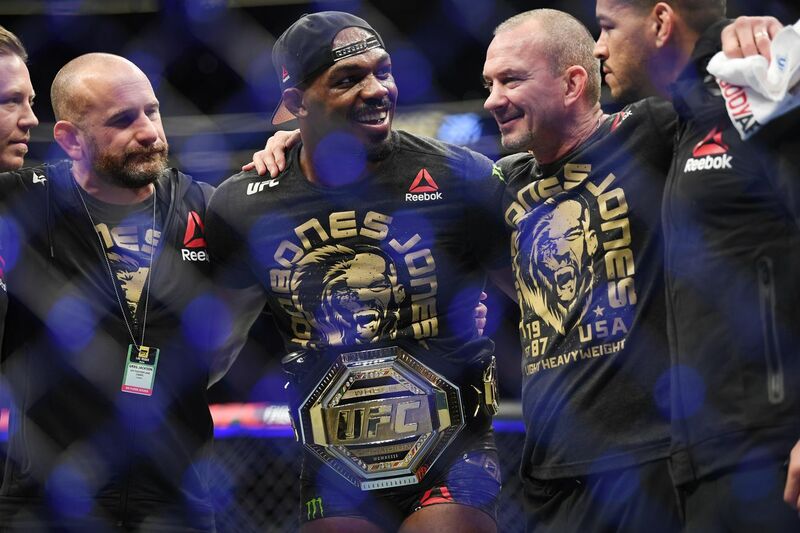 Jones has been active lately, as well, picking up recent wins over Alexander Gustafsson — in which he recaptured the 205-pound belt — and Anthony Smith. Jones defends his title against Thiago Santos at UFC 239 in July. He was scheduled to be a part of Friday’s seasonal press conference, but couldn’t make it due to apparent illness.